Are you planning a trip to Chile? This fascinating South American country has a vast array of options for individual and family entertainment. Perhaps you aren’t sure where to start as you plan your itinerary. Do you hope to experience the vibrant nightlife in Chile? Or is a trip to a museum more to your taste? 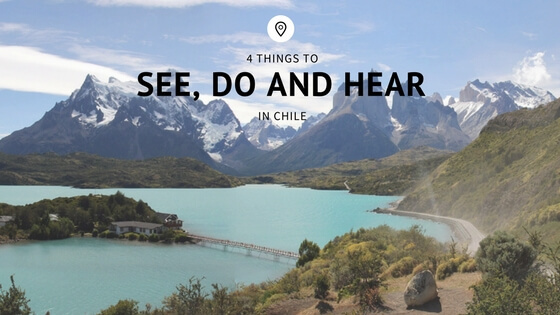 Maybe you’re an outdoor enthusiast who is anxious to see some of the natural wonders of Chile. We’ve got a little bit of everything to help you plan an exciting and memorable trip. Located in the Plazas de las Armas of downtown Santiago, the Palacio de la Real Audiencia/Museo Histórico Nacional is a superb choice for those who want to learn about the cultural history of Chile. The museum has 16 exhibition rooms that tell the story of Chilean history. The new-classical building was built in 1807 and it was the site of the first congressional meeting of Chile. Don’t miss this experience! Casa Pablo Neruda on Isla Negra, south of Valparaiso, is one of three houses that the world famous poet owned in Chile. Said to be the favorite and best-preserved of his three homes, it’s also a fascinating journey into the life of Neruda. Filled with plenty of his books and other eclectic belongings, the museum will also provide a guided tour of the home of the internationally beloved writer in a stunningly beautiful location. Torres Del Paine National Park: Certainly one of the great treasures of Chile, this national park is a must-see experience. The breathtaking glaciers are surrounded by pristine crystal blue lakes for miles. Take the whole family out for an unforgettable experience in nature! Bahia Inglesa is a truly unusual site. Chile offers some of the most diverse climates in the world, and it is home to a tropical beach in the middle of the desert. The beach is located away from the coast and it offers clear turquoise waters for swimming and as well as an opportunity to sunbathe in a unique landscape. There’s something for everyone on this list and we hope you enjoy some or all of these excursions. May your time be filled with making lifelong memories. Enjoy your travels!